SMALL KUCING: Where Else I "clean"
I am a good little boy. 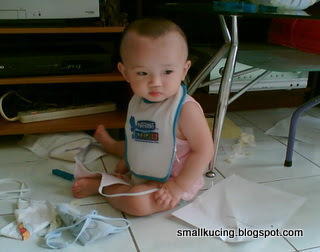 I help to clean up the house. Okay...this part done..where else next..